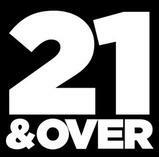 We can serve all adults over 21 with a valid government issued photo ID. All products containing cannabis may only be purchased and consumed in Oregon. By clicking the button below, I certify that I am over the age of 18 with an OMMP card or over the age of 21 without and will comply with the above statement. No, I am not over the age of 18 with a card or 21.